Islam is the world’s only major religion whose founder has been debated to be more statesman-like than Prophetic, by some scholars. This paper will argue that he was a Prophet, and prove that the teachings of Islam and the conditions in which it arose actually left Muhammad (pbuh) with no choice but to apply Prophetic knowledge to statesmanship. Prophet Muhammad (pbuh)’s teachings fell in like with those of past revelatory prophets like Abraham, Moses and Jesus, and thus never actually spoke of Islam as being a new religion with new dogma, nor preached it under these pretenses. He preached Islam as a restoration of the Abrahamic archetypal religion, as well as the perfection of the two other major monotheistic religions, Judaism and Christianity; whose teachings were believed to have been corrupted over time. Through spreading religious dogma, Muhammad (pbuh)’s prophethood was not much different from that of Jesus, Moses or Abraham. However, he did differ through his application of religious law (in this case Islamic Law) into state law. Muhammad (pbuh) best exemplified a model religious state in Yathrib, where the people chose him as their leader based on his status and reputation among the people. Prophet Muhammad (pbuh) used this opportunity to implement Islamic Law in Yathrib; a model that worked so well, people of the city-state voluntarily converted to Islam based on the fairness and freedom it provided. 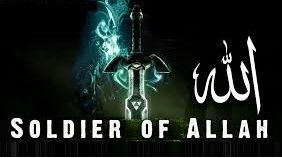 Muhammad (pbuh) was now in a position no other prophet had ever been in. He used the advantage he had as a prophetic political leader to negotiate treaties and resolutions that were beneficial to the Muslims and thus further enhance the influence of Islam on non-Muslims in the Arabian Peninsula. His strategy worked so well that within the span of a few years, he was not only able to get the majority of the Arab population to convert to Islam, but he was also able to gain further political control. Islam has always been preached to follow in line with the two other major monotheistic religions, Judaism and Christianity. Islam’s close religious association with them may stem from the idea that their two religions’ scriptures and overall purposes have been corrupted over the centuries. Islam was then a necessary religion for the sake of restoring the original teachings of Abraham and spreading the true word of God. Through this logic, one can naturally assume that if Muhammad (pbuh) were the messenger of a religion that spread the word of God by way of religious preaching, then he would fall under the category of Prophet, not political leader. He spread Islam first to the polytheists and recognized the Jews and Christians as “the People of the Book”, confirming his continuation in the tradition of Abraham, Moses, Jesus and other revelatory prophets. Muhammad (pbuh) also recognized that the greatest threat to his message was polytheism and the only way to achieve his Prophetic goal was to rid the Arabian Peninsula of polytheism. Islam, though, would not be able to stop at spreading monotheism to polytheists. Muhammad (pbuh)’s mission later included either perfecting or fixing the corrupted religions of Judaism and Christianity. He preached that Islam was the perfect religion and that it was the combination of the original intents of both Judaism and Christianity, along with new concepts regarding law and justice. Judaism’s corruption began with wanting kingship throughout their lands, a concept that was a breach of their covenant with God and had altered the text of their sacred scriptures. Christians were also corrupted because of altered scriptures, but more so because of their belief that Jesus was the son of God, and not a prophet. Muhammad (pbuh), through recognizing the religious sovereignty of Jews and Christians, also recognized that their converting to Islam would make his religion that much stronger. For all the similarities that Islam had with Christianity and Judaism, it had many differences. Islam, in following with the traditions of the Abrahamic religions, was an ethical religion created for the purpose of bringing morality to the world and spreading the belief in the oneness of God. This tradition, however, was where Islam’s similarity to these religions ended. Muhammad (pbuh) was the first prophet, who actually applied religious laws and scriptural text into state law. The ascension into politics by way of religion was probably a natural and necessary step for religion at the time because of the failings of Jesus to conquer the hearts and minds of the Roman Government, and also because during the time of Moses, city-states were much more common than regional based states (i.e., America, Babylon, Rome, Mesopotamia, Abyssinia, etc). Muhammad (pbuh) took the ethics and morals implied through Islam and actually used it to create fair and just social, judicial and legislative laws for the state. The impact of these laws was best exemplified during his time as leader of Medina. Muhammad’s (pbuh) taking over the leadership of Medina was based on his ability as a Prophet to most accurately interpret Islamic Law as the rightful law of the land. The best example of his abilities to translate religious teachings into state law would be the Constitution of Medina. Based on the only existing version of the historic document, there is evidence that the Prophet Muhammad (pbuh) repeatedly emphasized, in writing, the notion that all the implemented laws were not to be under the pretense of human interest, but rather, to be under the interest of God. For example, the Prophet Muhammad (pbuh) specifically begins the Constitution of Medina in praise of God, “In the name of God, the Merciful, the Compassionate” and refers to all groups of people based on their standing in the eyes of God, not himself, nor any other human. Jews were categorized as the ‘Believers’, and were considered a single Ummah (community) alongside the Muslim population, while the polytheists are categorized as the ‘Non-believers’. The Constitution, in accordance with the Quran, allowed Muhammad (pbuh) to uphold the standards to which he believed all Muslims were to live by. Besides upholding the standards for society, it also upheld the rules and regulations by which the state would function, both judicially and legislatively. Among the rules and regulations included in the document were the pretenses under which war could be launched, and the duties of the citizens towards the state. These two specific rules and regulations were particularly new to the people of Medina, and later to the entire Arabian Peninsula, because they provided guidelines to people’s lives as well as an organized form of government. The Constitution in its entirety, bound the people together by religious commonality, not kinship or tribal relations, as was still the case in tribal Arabia. Muhammad’s (pbuh) role in this new state was that he would be the Chief Arbitrator of Medina; a role later expanded to unchallenged ruler of the Islamic Empire after further conquest of the Arabian Peninsula. His role as the unchallenged leader, and may be a direct result of his Prophethood; there were only a handful of cases where he had interceded as a sectarian judge. Prophet Muhammad’s (pbuh) invasions and conquests were based on sectarian conquest, but for the purpose of spreading the newly founded religion of Islam. After being chosen as the leader of the Medinan’s, Muhammad (pbuh) set his sights on conquering the hearts and minds of the Meccans. Though he began with simple diplomatic treaties like the Treaty of Hudaibiya, he also was forced to declare war on the Meccan’s thus displaying his military leadership. The Meccan tribal leaders and Muhammad (pbuh), however, agreed upon the Treaty of Hudaibiya, so that the Muslims could make pilgrimage to the Ka’aba. Muhammad (pbuh), though he wanted the treaty to work, realized that it was an impossible deal, and attacked Mecca, once blood was spilt between the two major parties during the third pilgrimage and war was declared under the pretenses of the Treaty. Mecca surrendered before it could be defeated, and thus, Mohammad (pbuh) attained total control of Mecca and achieved his ultimate goal of controlling the sanctuary that was the Ka’aba. By controlling the Ka’aba and Mecca, Muhammad (pbuh) had successfully fulfilled a Prophecy in which he was supposed to one day control Mecca. Thus, Muhammad’s (pbuh) conquest over Mecca appears to be a result of his Prophethood, not his sectarian governing abilities. This would also appear to be the case because as soon as the Meccan’s surrendered to Muhammad (pbuh), he proceeded towards the Ka’aba to rid the city of its polytheistic nature by destroying all 365 idols present in the Ka’aba. Had Muhammad (pbuh) conquered Mecca as a statesman and not a Prophet, it is highly unlikely that he would have immediately proceeded towards the Ka’aba for religious reasons. He might have gone to set up a home for himself, or engage in a celebration of conquest among his military troops and army generals. He did not; instead, he immediately went to fulfill his duty as a Prophet, which was to primarily rid the region of its paganistic rituals and beliefs. Islam is not just a religion, but also a way of life, and as such, its dogma crosses over into other aspects of life besides faith. Its crossover into social etiquette, judicial service and legislative services naturally provided a foundation for the ascension of the Prophet Muhammad (pbuh) into the political stream of life. His prophethood consisted of many decisions that could be characterized as statesmanship. With that said, Muhammad’s (pbuh) actions were always under divine guidance and intended to spread Islam (and never with the intent to further sectarian rule over the Arabian Peninsula), whether it was spreading the word of God to the polytheists, ruling over certain cities (i.e., Medina and Mecca) or negotiating various Treaties and Resolutions with non-Muslim parties. Muhammad’s (pbuh) actions always reflected a very religious and Prophetic agenda and never that of a sectarian leader, thus putting to rest the silly notion by some scholars that Muhammad (pbuh) was more of a statesman than a Prophet.